CBD Oil Review rates AON Mother Nature with two stars because it qualifies for the Quality and Mission Badges. Authentic. Organic. Natural. AON Mother Nature draws its name from these three adjectives. They use organically grown hemp in their CBD oil but do not exclusively use organic ingredients as the name implies. Still, their CBD product line of tinctures, edibles, gummies, and more is a solid offering of quality full spectrum and isolate options. Co-founder Matt was quoted saying, “Health is one of your most important assets.” And we couldn’t agree more. AON Mother Nature is off to a great start, but they need some work to earn more badges. AON Mother Nature was founded by Matt and Kip, American businessmen that want to promote a healthy lifestyle and spread the good news of the health benefits of CBD. Years ago, Matt complained about back pain to a colleague on a flight who gave him a CBD gummy. Astonished at the relief he experienced, he began to take CBD for anxiety and insomnia as well and saw dramatic improvements. And thus, another believer was born. AON Mother Nature aims to offer the best cannabidiol products on the market at the best prices available. Their CBD oil is sourced from certified organic hemp grown in Colorado, Kentucky, and California, and they utilize solvent-free CO2 extraction to procure both isolate and full spectrum products. Although the company promises they conduct independent laboratory tests on their CBD oil, we were unable to verify any of these results online and therefore, cannot grant the Safety Badge. 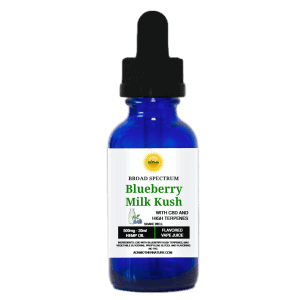 Full spectrum sublingual oil – These are available in various formulations and flavors like strawberry cheesecake, but all the ingredients check out. They use natural flavoring, MCT oil, monk fruit, agave, and other natural components that we approve of. 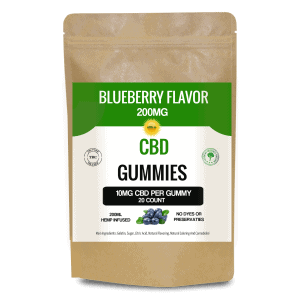 CBD gummies – All natural. Yay! CBD vape juice – We can’t really speak to these as the ingredients aren’t clear, but we can tell you they contain VG and PG. 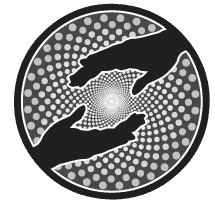 CBD topicals – We’ve started listing these last in product lines since we almost always have something to say about them. In this case, three of the four CBD topicals check out according to our standards for natural, non-toxic ingredients. But there’s one product we’re not so sure about called The Revitalizer. It contains dimethyl sulfoxide, a compound found in wood that’s actually used in a variety of anti-inflammatory medications. The problem is, much of what is on the market is industrial grade, laced with impurities that are rapidly absorbed in the skin, which is one of the reasons it is banned in cosmetics in Canada. AON claims to be ardently committed to transparency, so we call upon them in this specific instance to really be clear about where they are sourcing this ingredient. Bottom Line – AON has a relatively clean product line and quality CBD available in both full spectrum and isolate options. To earn more points with us, we’d need to see independent lab results, charitable activities, and a bit more by way of innovation. AON Mother Nature uses organically grown U.S. hemp and CO2 extraction in their CBD hemp oil. AON Mother Nature believes in helping people achieve their health goals and enhancing their quality of life through the natural benefits of CBD. The best I've tried! Thanks Aon. I liked AON at first, but I have issues that not all products have COA's and the one's I did see are outdated. I do not like to purchase a product that I cannot verify, especially for the price. Another issue is that most products are almost always out of stock. I need a company that I can rely on. I have tried other products. AON ranks #1 based on my experience. Excellent products, excellent customer service and a money back guarantee. The owners are hands on and truly committed to their customers. They should be rated 5 stars! Aon is the best company I've used . There customer service is excellent. All products are the best quality available. Matt the owner is so understanding to the needs of the community. I would highly recommend aon for all your cbd needs. AON products have greatly reduced my seizures and blood pressure. Thankful to have a company that's there for it's people and not just the all mighty dollar. I agree. Their prices are very competitive! I buy the 30 ML 1000 mg bottle. It's onsale for $69. You won't find that anywhere else! It's usually $150-$179. I am a long time customer of AON products, I love the cherry cbd oil, the terpenes and especially the revitalizer spray,,it really works for my pain, as I have chronic pain from arthritis in my neck, it soothes my muscles around my neck and shoulders. I have now started ordering it for my best friend who suffers from severe chronic pain from nerve damage and swears by the revitalizer..
Aon products are the best...great customer service! AON has wonderful product and amazing customer service! I began giving my son AON CBD oil for an undiagnosed pain that have ever doctor and specialist stumped. My son couldn't walk because of his pain, docs only wanted to treat it with Norco, he was 11!! !Within 1 week of using the oil he was walking pain free. We have been using the product for 15 months and will continue to do so.Thank you AON!!! AON Mother Nature is a wonderful company that absolutely gives back. I have tried several of their products and have been using their CBD products for close to 2 years. I have to disagree with some info in the article, AON does publish certificates of authenticity where a 3rd party tests their products. Great company. Terrific products and excellent customer service. AON products are amazing. I highly recommend their products Matt is the most generous and kind perso. Kip is very helpful and great customer service. 5 stars. I stumbled upon the Facebook page for AON Mothernature over a year ago. I did my research and decided to give it a try. I couldn't be happier. I suffer with chronic pain in my neck and lower back. I've had TMJ for 40 years. I also suffer with depression and anxiety as well as insomnia that goes along with them. 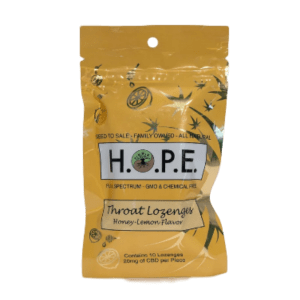 When I first tried their product I was amazed how it helped my anxiety and pain. Their products have only gotten better as time goes on. They have great customer service and I can't thank them enough for doing what they do for so many people. Using several products from AON and they are all HIGH quality. Organic and Natural and will eagerly provide testing results for any product when requested. So glad I found AON for my pain!!! AON Mother Nature is an amazing company. They have helped me tremendously. Their products are very high grade & pure. Their customer service is the best I have ever experienced. Their CBD comes from plants grown in the USA in CO, CA, MI & KY.
Only place I trust to buy CBD products. I've used the oils and they have helped with anxiety and some mild pain relief. BEST customer service and great prices. They care about their customers and treat them like family. AON CBD'S products have been life changing for me and my 17 yr old Cat.Living with chronic illnesses has keep me in debilitated pain for close to 2 decades.THESE CBD PRODUCTS are better and safer for ones body than pharmaceutical narcotic. Since the change AON CBDS,I no longer take daily opioid and it's been over one yr,since the physician has written a script!! As well as our sweet fur baby with musculoskeletal/ joint pain due to thyroid/ kidney disease/osteoarthritis,she's in pain along w/ loss of moblity. Good news...Since shes been on AON'S PETBLEND OIL(CBD/salmon) she's regained her mobility and enjoys going outside once again! Thanks to AON,and their great CBD products,great customer service/support team,30-day moneyback GUARANTEES You're my ONLY online resource that I trust. Thank you guys! Aon company is the best company and great customer service! Love love love the products and the customer service is out of this world. I got my life back using the AON products. These products have helped tremendously with my fibromyalgia and everything that goes along with it. Keep up the good work . AON's cbd is helping my pain & depression but even better is helping me depend less on pharmaceuticals that have bad side effects. They are transparent about sourcing & analysis. Aon has the best products. And by far the best customer service. I refer a lot of people here from a lot of sites that are looking for pain relief. Superb products! Great customer service!! AON is the best! Great product supplied by great people. Only place I've ever spent my money to buy CBD products. AON's products have helped with pain and fatigue. In 2011 I had a severe adverse reaction to the antibiotic Levaquin. Nothing has helped the constant severe pain until I began consistently taking AON's CBD products. I use the oil, gummies, immune support powder, and terpenes. I went from constant bed rest to actually getting out of the house. My 14 year old dog uses their pet products. He could barely walk. He get around so much better. In addition, their customer service is the best. I would give 5 stars! So glad I found this page and these products! Love AON products. It helped my husband with his anxiety, he no longer takes Ativan which he was taken 6 a day. Got my sister to use it on her 4 year old, which has ADHD. Got my dad using it now for his anxiety & depression. Got my sister in law using it. My mom loves the products. I wished I knew about this company last year, I would have tried it on my mother in law which past away from cancer in August 2016. I also now use it on my dogs also. I tell everyone I know about this company. Everyone in the group on facebook is friendly & helpful. I love their products. Works great for my anxiety and pain. Really enjoy gummies and unflavored oil. Has helped tremendously. Great company and great products. 100% satisfied. Aon's products are fantastic. I have tried a number of the products and have NEVER been disappointed. I was able to come off depression meds with the help of aon's cbd products. They're the only company that I have seen that is affordable, offers a 30 day money back guarantee, provides lab tests and truly cares about their customers and not just the money they make. The owner is very caring,and helpful when you have questions. Everything Aon does is done with GREAT CARE AND FABULOUS CUSTOMER SERVICE. If you haven't tried aon's products then you are missing out!! AON saved my daughter's life! She was suffering with an eating disorder as well as horrible anxiety,she was being tube fed and nearly died. A friend told me about AON and it literally saved Her life! Also, I have crps/rsd if you haven't heard of it, it is THE MOST PAINFUL DISEASE in existence. Without cbd from AON I don't know how i would make it. I have been able to come of several medications! I even give it to my dog for her arthritis. I have never had to wait more than a few minutes to have a question answered.. Not only that but they have the best customer service HANDS DOWN of ANY company that I have ever dealt with! 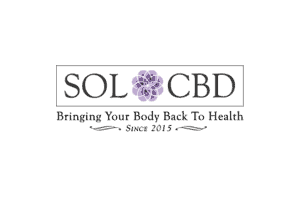 All information about the cbd from seed to coa is readily available. Any customer can tell you that Matt is much more interested in helping people learn how to use cbd and reap the benefits than he is in money. The miracle of CBD is a passion of Matt's and after being a long time customer of AON MOTHERNATURE it is a passion of mine as well! I have many friends Who have also had their lives restored thanks to AON. I just started using the 900 flavorless oil this week and it has been amazing so far!!!! 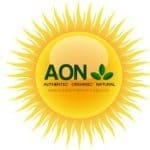 I like AON Mother Nature, never any problems and their products are great! I am a believer in AON's products!! My sister said she cannot function without revitalizer, she suffers from daily migraines and neck pain. A friend also has migraine and general pain relief from the revilalizer spray. The gummies have helped me overcome the most anxiety filled time in my life. We will never be without their products! I love their oils! Have helped so much with sleep & anxiety! Our family loves AON for their products and the fact that they treat you as family. Thanks to them I do not have to have meds for my anxiety and depression and I can function like a normal person without being drugged out. Thanks guys, you're awesome. I wouldn't go anywhere else! Love AON's products and the customer service can't be beat! AON has excellent products. They stand behind everything they sell. They have excellent service too. Great people to work with. Love AON products and get a lot of great information from page and other members. Absolutely love the AON products! Your products really help with my m.s.!! Keeps me calm too :) you have the fastest shipping and I always get exactly what I need! I love the hard candies! Can't wait to try more products. Thank you for everything you do! Love AON! It Has helped me out a great deal!! Aon is a company based on being transparent to their people. They offer the COAs of all their products to their customers and never ask any questions. They offer a 30 day money back guarantee to every single product because a dissatisfied customer is unacceptable. They have done THEIR research and the products are made right here in the USA so the quality is one of the best. Say what you will but thousands of satisfied users can be found all over in just a little over 2 years. No I'm not paid to say this, no I'm not being compensated, YES I do use the products with great success. Aon CBD oil has been a blessing for my son. It has reduced his tics tremendously. AON has given me life when I felt like I had none! Living in constant chronic pain every day I was always laying down with ice and heat, crying and besides myself! I also suffer from an anxiety disorder and PTSD. With these products I get relief, I can move better and get out of the house again. These products also cover my anxiety disorder and my PTSD. It's truly amazing! I'm so grateful! Plus with their 30 days guarantee I knew I couldn't go wrong. The customer service is excellent. I love Aon Products, I have tried several and am having great results for my Fibromyalgia pain, anxiety and depression. they have the best customer service and care about their customers. I will never get my CBD from anywhere else. Everyone at AON has been very helpful and knowledgeable. They helped me figure out exactly what I needed and the dosage. My wife and I have been using AON product for over a year. The idea was to go with natural, safe supplements and after researching the company and going over COAs for each product, and knowing where their product is grown we stopped shopping around. You can't beat the product, price or excellent quick customer service by the hands onn owner! I have been using AON products for almost a year and a half. I use the vape juice they have available and they just keep getting better and better! I use it for my chronic back pain, anxiety and depression. I'm amazed that I went from multiple daily panic attacks to only one every now and then. Without aons amazing prices and amazing prices I'm not sure where I'd be today! I've tried a local company's cbd gummies for my daughter's ADD-PI... they ere terrible! We started AON about 9 months ago and couldn't be happier!!! The customer service here is extraordinary! The customer support is superb. The AON community of customers, along with the owners themselves, give you a 100% experience. Questions, comments, complaints snd concerns are handled with compassion, speed and efficiency. The products are pure quality. We saw positive results within a week. AON cbd gummies gave me my daughter back, I am forever grateful. I've been using this company for about a year now. I use the products for my Lupus, fibromyalgia and migraines. The products at AON have done wonders for my pain. The staff provide excellent customer service, they are caring and knowledgeable about the products they carry. I highly recommend this company for your CBD oil needs. Love AON! Great products and Customer sevice! AON Mother Nature is a wonderful company helping people find pain relief with CBD products. They provide lots of quality CBD products at very affordable prices. My quality of life has improved over the last few months because of these products. AON Mother Nature cares for their customers and...I appreciate what AON does for us! Great product. I'm epileptic and I haven't had a seizure in a year. Lab reports are easy to find on the site. Top notch product and service. AONs CBD has been amazing for myself and my daughter. It helps with my anxiety and pain. For my daughter it helps her focus more at school. I have been a customer of AON MOTHER NATURE for a year. During this time my daughter and I have been utilizing their 900mg oil as well as various other products, and both my daughter and myself are now pharmaceutical free. Not only are their products top notch, they are extremely transparent with lab testing so I know what I'm putting into body. I'd highly recommend anyone looking for high quality CBD at low prices to give them a try. AON has helped me with their CBD oils I have completely stopped taking my anti anxiety meds and feel so much better. They are very helpful and honest. It only took one 25mg capsule to knock out my intense nausea and migraine. Much quicker than any biv pharma medicine. AON ships fast and doesn't leave a bad taste in your mouth. AON has worked wonders for my son who has CRPS. As a nurse I researched many companies and had no problem having my questions answered about these products and seeing all lab reports to verify purity and safety before considering these products for my son. The owners go out of their way for their customers. We will be customers for life. Both my daughter and myself have been using AON for 2 years. It is the only company that actually worked for our multiple issues and was affordable. The coa's while not listed on the website have been available to us this entire time and all products are grown in the USA in Colorado, Michigan, California and Kentucky depending on the product. They also have a 100% hassle free money back guarantee that has barely been used in the 2 years out of 1000's of people. AON gives back on a daily basis and has always helped those on a budget. I've been using AON for several months after having checked out several companies...including AON. I Checked out where they're product was produced, certificates, quality and just opinion of the product from other AON users. I suffer chronic pain, depression and I'm weening off of Pharmaceuticals. I have been very pleased with all the products I've used from AON. I stocked up on several oils, capsules, gummies and just recently began vaping. My pain and depression is under control and I've been able to ween From 100mg to 50mg (for now)of depression meds with no neg. w/d symptoms..and I'm sleeping better!! Yay! AON cbd has improved my life! I suffer from chronic pain and all the details that come with it. Their cbd is true and pure. My pain and lack of sleep has been improving since I starting using their products. I have purchased cbd previously to AON from another company and it did nothing for me. AON has been a life changer for me! AON has great products and you can't beat the customer service. So thankful I found them.